Cottage was very cosy and great place for our mini moon. Hosts were lovely and very welcoming. Loved the cream tea on arrival and all that was needed for breakfast !!! Very warm and friendly hosts. Lovely and peaceful a really good location for going places. The hospitality was fabulous. Beautiful cosy cottage. 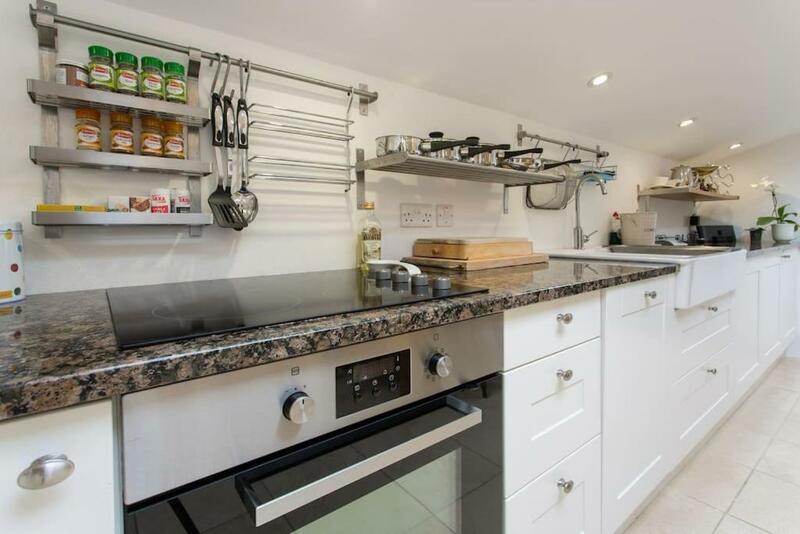 Well equipped kitchen and a heated bathroom floor! Easy... EVERYTHING! From the scones and jam on arrival, the bacon and eggs for breakfast to the under floor heating and roll top bath The Snuggery met all expections and then some! Perfect location to reach all of Cornwall amazing towns and attractions all reachable by car The plume and feathers pub for food as recommended was amazing as well! 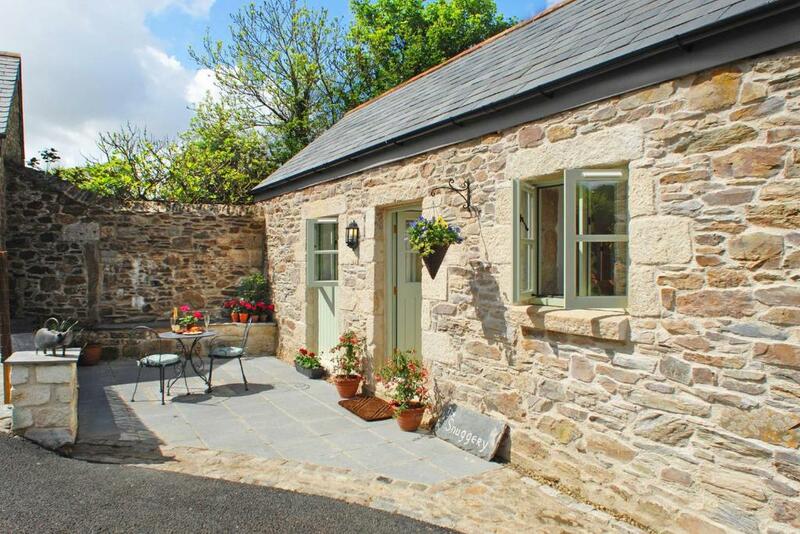 Loved the snuggery - lovely little stone barn beautifully restored. Great you can bring your dog too. Heather and Rob were lovely and on hand for anything we needed. Everything was lovely, couldnt make it much better. Maybe some more instructions on how to use heated floor. Was a very lovely place, lovely and peaceful! Great location, easy to get anywhere by car, just off of main roads. Will definitely be going back. Everything was great. Very helpful and friendly host. Highly recommended. Lock in a great price for The Snuggery – rated 9.5 by recent guests! Within 8 miles of Truro Cathedral and 8 miles of Tregothnan, The Snuggery has free WiFi and barbecue facilities. The vacation home is in an area where guests can engage in activities such as cycling and hiking. Languages spoken at the reception include Spanish and French. Newquay Airport is 11 miles away. This property also has one of the top-rated locations in Truro! Guests are happier about it compared to other properties in the area. When would you like to stay at The Snuggery? This holiday home has a iPod dock, fireplace and stovetop. 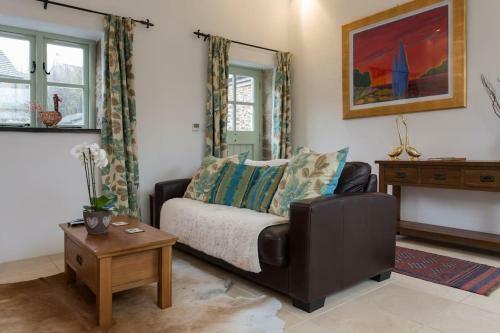 The Snuggery is a gorgeous little luxury barn set in a wooded valley with glorious countryside all around. The original barns were built in the 1880's and we converted the Snuggery in 2012 so we have all the benefits of the traditional stone structure with all mod cons. There's a fabulous kitchen with granite worktops with cooker, oven microwave and dishwasher. There is a washing machine with integral dryer and an iron & board is provided. It's all fully equipped with everything you need for a relaxing holiday, we even provide fluffy white dressing gowns, radio & iPod docking station. There's a lovely pot belly gas heater and candle holders galore to provide a truly "hygge"environment to chill out & relax. 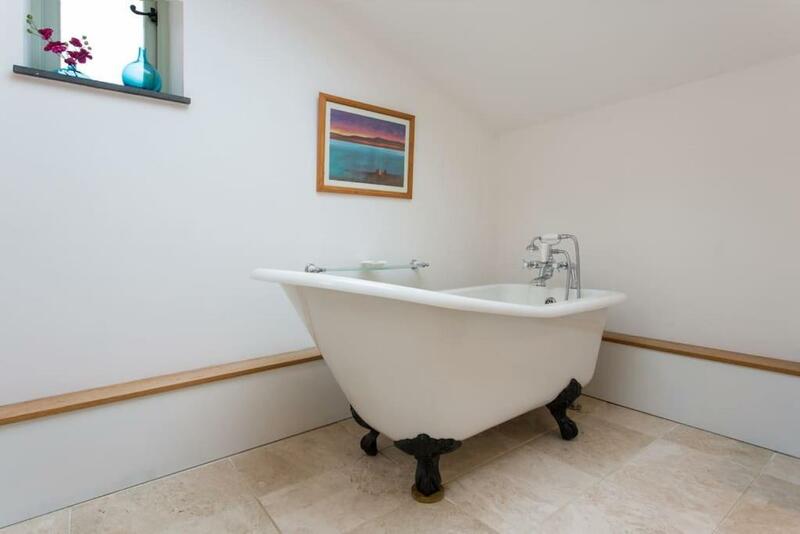 The beautiful slipper bath has a shelf next to it to hold your glass of fizz while you look up at the stars through the Velux window which opens out to the skies in summer. The decor is a mix of modern & classic with a sofa bed in the sitting room opening out so you can enjoy watching DVD's or TV. There are even games & books in the cupboard for you to enjoy. A set of maps is provided so you can plan the best holiday ever! The Snuggery is within easy reach of both the north and south coasts, making it the perfect base for exploring the best of what Cornwall has to offer. 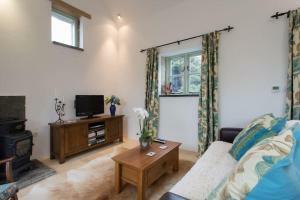 An idyllic cottage retreat for countryside enthusiasts and lovebirds looking for some time out. Five minutes off the A30 it’s just 20 minutes in all directions from nearly all the best locations in the County. The Eden project is 8 miles towards St. Austell, Rick Steins Seafood Restaurant and the gorgeous village of Padstow on the North Coast is a 20 minute drive and even the Tate Gallery in St. Ives is just 40 minutes away with Penzance just under the hour. 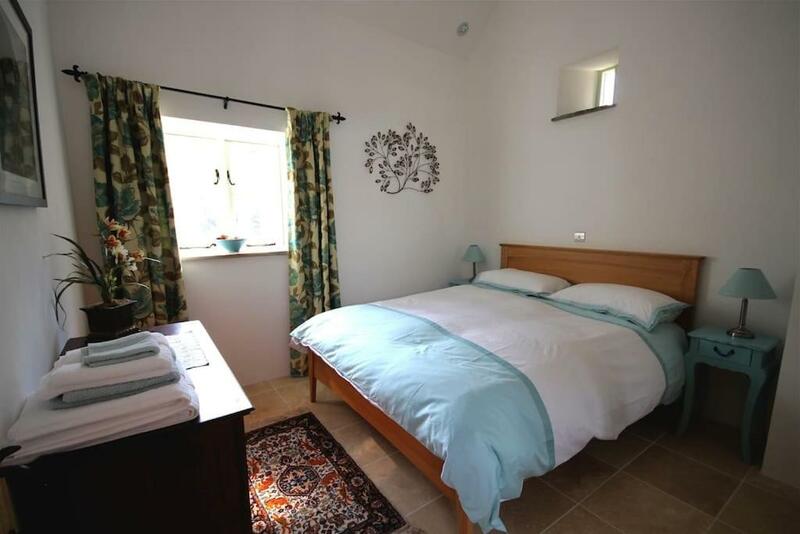 The Snuggery is surrounded with rural countryside – open fields and woodlands on all sides. Newquay airport is 7 miles away and there are train stations in Truro, St. Austell and Bodmin Parkway. 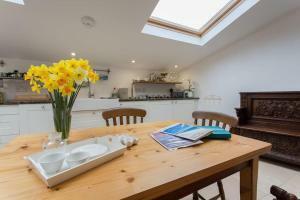 You will need a car to enjoy all the Snuggery has to offer and explore Cornwall. House Rules The Snuggery takes special requests – add in the next step! Please inform The Snuggery of your expected arrival time in advance. You can use the Special Requests box when booking, or contact the property directly using the contact details in your confirmation. Signal very bad. Had WiFi but that was very slow and sometimes did not work at all. larger sofa would be better .but all else was realy good . the whole flat and the owners .the area so nice too. The bath was smaller than we thought. The T junction on the main road needs a mirror to see on coming traffic both ways. There wasn't anything we did not like although for us the lack of a full shower was a challenge. The afternoon tea on arrival and breakfast for the first morning was a lovely touch. very comfortable just whats needed for a little break away. Loved the bacon left for us!